In the late 1920’s, one of the most revered innovators of all time introduced the world to a cartoon character who many children, over several generations, grew up with. Making his debut in black and white animation, the character is first seen whistling while steering a ship in Steamboat Willie, the first cartoon to feature sound with orchestrated music and sound effects. 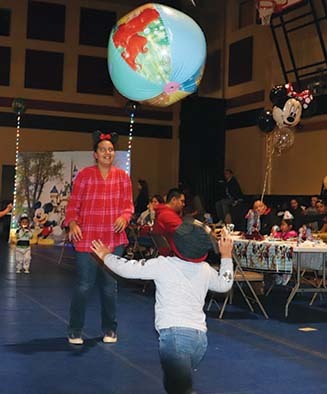 On December 5th, Walt Disney’s birthday, Tulalip Youth Services planned a magical evening for the community at the Greg Williams Court, celebrating the works and lifetime of Walt Disney. 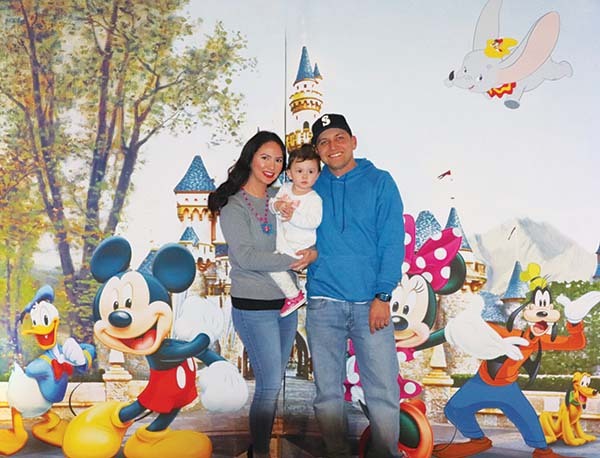 Decorations included a number of balloon characters and several Disney-themed backdrops for families to take photos. 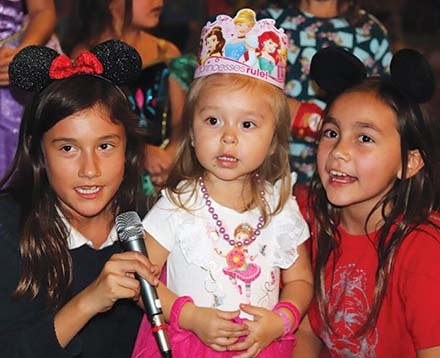 A DJ played all of the Disney hits as families arrived in full costume, dressed as their favorite heroes and princesses. After enjoying a pizza dinner, the youth worked up the spirit to showcase their singing talents in a round of karaoke, opening with How Far I’ll Go from Moana and Let It Go from Frozen. 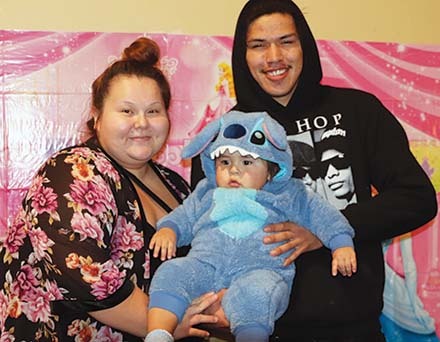 Young tribal member, Tashina Cortez, had a blast at the event and sang a few songs throughout the evening along with her friends. Walt’s imagination brought to life countless classic films and cartoons such as Snow White and the Seven Dwarves, Bambi, Peter Pan and Mary Poppins, to name a few. In the 1950’s he opened the gates to the most magical place on earth, Disneyland. Because of its popularity, Disney began working on the concept for Disneyworld and the Epcot Center before passing from lung cancer in 1965. To this day, both theme parks remain the ultimate vacation destination for families to visit and meet their favorite characters together. 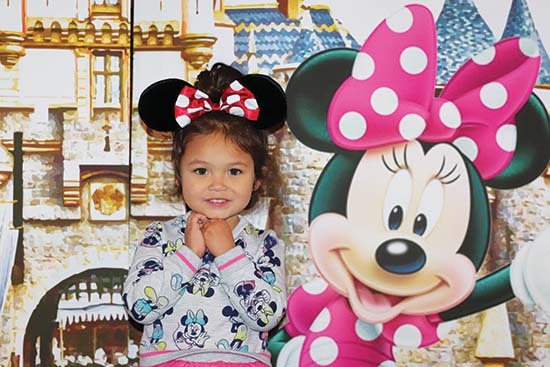 Disney’s vision has carried well into the 21st century and his company continues to push boundaries, producing a number of family friendly TV shows, cartoons and movies. Disney cartoons have taught many of us valuable life lessons and brought smiles to children and their families across the entire world. In many Disney projects, there’s a common reoccurrence of promoting positive family values, displayed in such films like Pinocchio, Lion King and the Little Mermaid. Youth Services chose to honor Walt Disney based on his many lessons and values that he’s incorporated into his work. There wasn’t a frown in sight as kids visited with their friends, cousins and siblings. Laughter filled the room as the little ones chased each other on the dancefloor while the parents admired their kids’ antics from afar. And although most kids go crazy about the Disney universe, young Isaac Lafountaine isn’t necessarily a huge fan. However, his grandmother is so he happily accompanied her to the dance. As Walt once said, ‘the most important thing is family’. 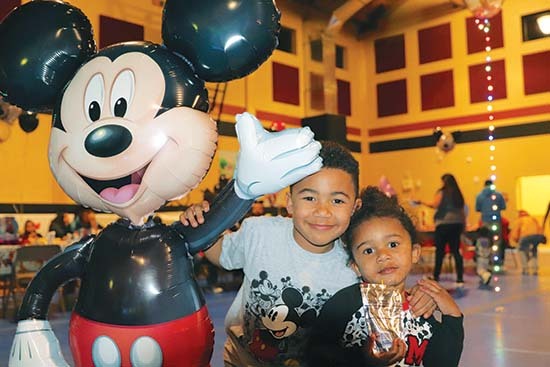 He’d be delighted to see all of the families enjoying quality time with each other at the Youth Services Disney Dance and Karaoke night, a fitting way to celebrate his 117th birthday.